The expression you wear on your face for your spouse is far more important than the clothes you wear to look nice. Smiling makes you more attractive to your spouse. It is better than walking into your house looking like you are in a ZOMBIE-like state! Your spouse will be drawn to your smiling face because people want to figure out what is so good. Your smile draws your spouse IN. Smiling lifts the face and makes you appear younger. It takes more ENERGY to ignore and pretend to be very serious, than it is to smile at your beloved. Smiling relieves stress because it prevents us from looking tired and overwhelmed. STRESS can really show up in our faces. 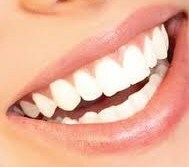 Your immune function improves possibly because your more relaxed if you smile. When you smile, it is a NATURAL drug. Studies have shown that smiling releases endorphins, natural pain killers, and serotonin. These three make us feel better. When you smile at your spouse, it makes you more APPROACHABLE. Your smile is welcoming and your spouse will be more at ease around you. Your smile to your spouse can be CONTAGIOUS. Be completely pleased to see your spouse. It can change your spouse’s mood after a long hard day and it doesn’t cost you anything. Your secret weapon is your SMILE!! Smile – it’s the next best thing you can do with your lips.